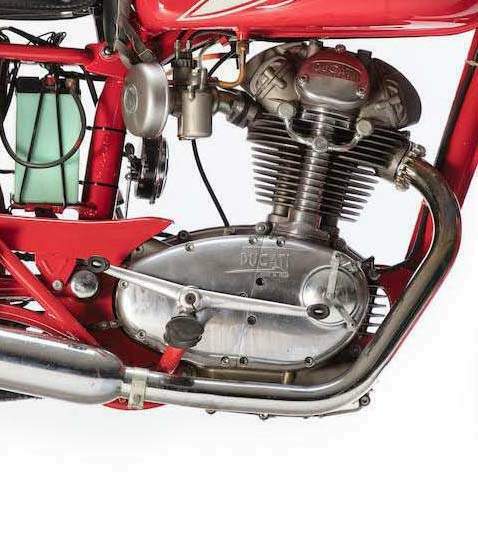 The 175 was the first Ducati production machine to be offered with the single overhead cam, bevel driven engine when it was launched at the 1956 Milan show. 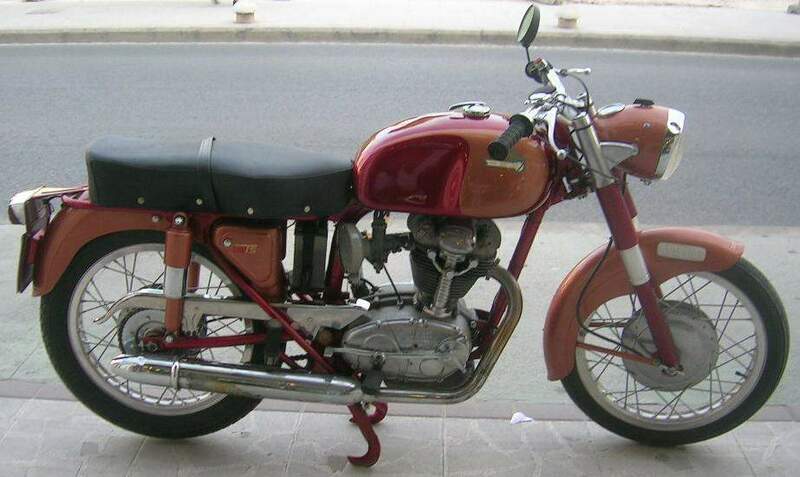 The engine was a direct descendent of Taglioni’s 98cc Gran Sport Marianna. It was offered as a ‘S’ Sport, ‘T’ Turismo, Americano, Formula 3 and Motocross. But the biggest seller was the Sport which was capable of 84mph and could achieve almost 100mpg. This little racer boasted a whip-free chassis, a dry weight of just 103kg and large full aluminium brake hubs. 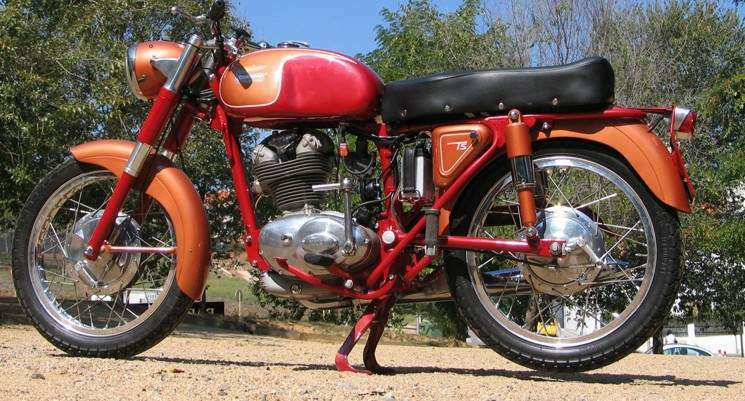 These features combined ensured that the 175 handled and stopped better than anything else in its class. British importers, Kings of Manchester, offered a tuned version of the Sport known as the Silverstone Super. It was capable of 95mph.